If you want to save some money on accommodation but demand the comfort of a hotel, a business hotel in Kyoto might be the perfect choice. First, you might ask: What exactly is a business hotel? Simply put, a business hotel is a hotel that offers small but efficient rooms without all the frills and facilities of luxury/international class hotels. They were originally designed for Japanese salarymen who were looking for a clean comfortable room at a reasonable price. It was assumed that they’d only be using the room for sleeping and bathing. Therefore, the rooms were designed to be small but packed with everything needed for the night. Needless to say, this model also works perfectly for travelers who spend most of their time out exploring. Of course, this being Japan, you’ll find that rooms in most business hotels are spotlessly clean, with clever design features and everything you need for a good stay: toiletries, wifi, a deep bathtub, a robe and a pair of slippers for trips to the lobby and/or vending machine. I should note that I stay almost exclusively in business hotels when traveling around Japan on work. Frankly, I wish there were business hotels like these in every other country on earth! Like most Japanese cities, Kyoto has scores of business hotels. The key for the traveler is choosing one in a convenient location. 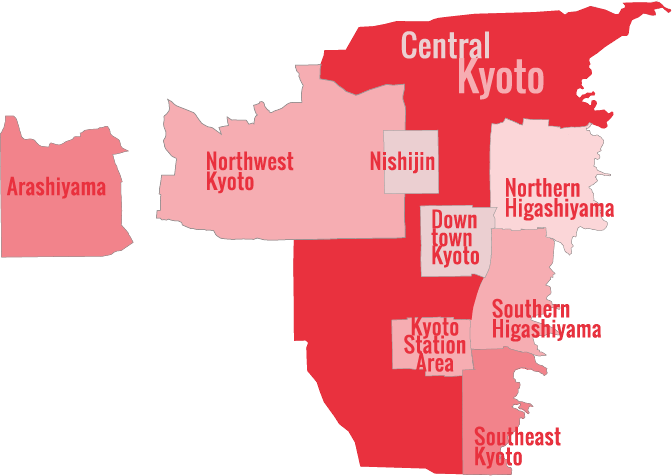 Here’s a carefully curated list of excellent business hotels located either near Kyoto Station or in Downtown Kyoto that I’ve personally inspected. A great value business hotel located a short walk south of the main downtown shopping district. At present, there’s no wifi in rooms (LAN cable one), but I expect this will change in due time. 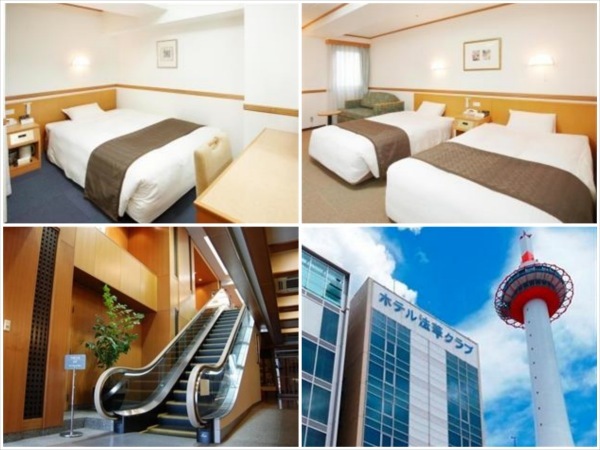 The Toyoko Inn chain is the mother of all Japanese business hotel chains. This iteration, on Karasuma-dori, near the Gojo subway station, is typical: rooms are small but super well equipped and the chain offers lots of perks, like a simple free breakfast. Right in the middle of the downtown shopping district, this business hotel is almost automated (ie, not much in the way of staff), but the rooms are fine and there’s are large Japanese-style communal baths (in addition, of course, to en suite shower/baths in every room). A very short walk west of downtown, this business hotel is a great deal, with free breakfast and helpful staff. This spanking-new hotel just a short walk south of the main downtown shopping district is a great choice. There are lots of cool touches that elevate this above many standard business hotels. Tucked into the shopping district of Shijo-dori, just steps from Takashimaya and Nishiki Market, the Grand Bach is a new hotel that does a lot right. In addition to standard Western-style rooms, they offer Japanese-style rooms with futons and tatami mats. Check availability and book on Booking.com or Agoda.com. The nationwide Hokke Club chain offers excellent value and comfortable rooms. This one is directly opposite the main (north) exit of Kyoto Station. The brand-new Ibis Styles is just a short walk south of Kyoto Station (very near the Shinkansen entrance/exit). It’s got everything you’d expect in a good business hotel and the management and staff work hard to keep guests happy.